Imagine this... features new instrumental music, video, visuals, and film, scored by working composers combining sonic textures with live and recorded musicians. The concert will be Friday, May24, 2019, 7:30pm at SFCM (50 Oak Street, San Francisco). Admission is always free (though we ask for donations to support the musicians). All of the featured composers completed the program in Technology and Applied Composition at the San Francisco Conservatory of Music. “Sound and Image” featured instrumental music by working composers combining sonic textures, live musicians, dancers and visuals. 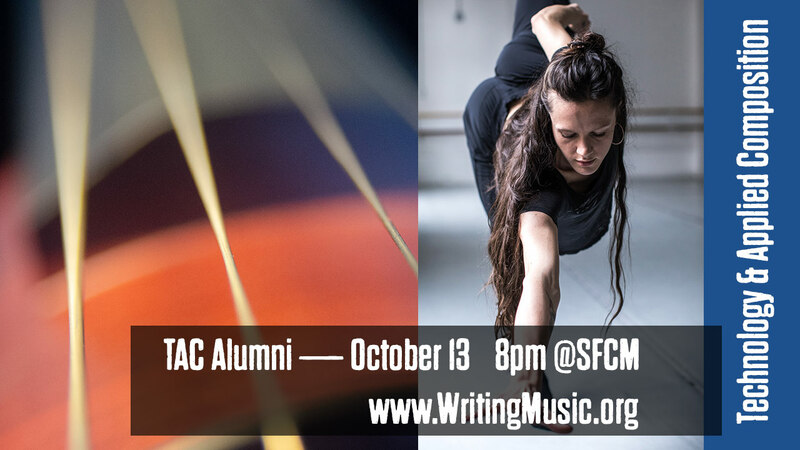 Music by SFCM alumni Costas Dafnis, Kyle Randall, Daria Novo, Daniel De Togni, and “Sky.” Choreography by Khala Brannigan. The concert was on Saturday, October 13, 2018, 8pm at SFCM (50 Oak Street, San Francisco). Admission is always free (or you may add $20 per ticket to support the musicians). “TAC* Behind the Scenes”: June 2, 2018 8:00pm at San Francisco Conservatory of Music. 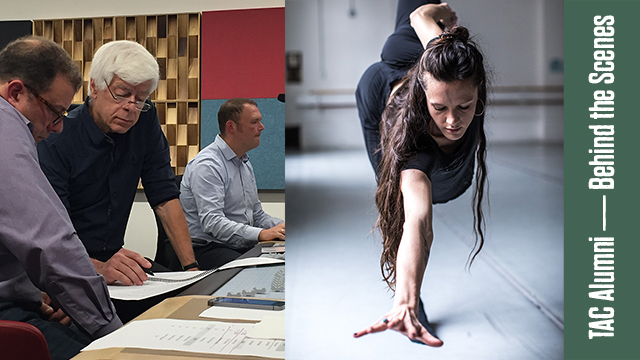 A look at writing music for dance, film and virtual reality. You'll see how a choreographer works with dancers to develop a short work; excerpts from films we've scored, and how the process works; and you'll see and hear how music is created for Virtual Reality [VR] games. Admission is free. For students enrolled at San Francisco Conservatory of Music. The Sky Hi Award supports the collaborative creation of new music for kinetic works and visual arts. This includes dance, multimedia, performance art, interactive performance, film, video virtual reality and animation. This award is intended to support both the creation of the music and the collaborative process with other artists. Projects that utilize digital software workspaces or tools are preferred. Applicants must include a letter of support from their collaborator, two representative work samples from within the last five years (in audio or video form), a one-page project proposal, and a project budget. Who is this guy? What's behind this award? Music makes a difference. And we support writing music. In many ways. The project provides direct support for collaborative creation of music by emerging composers, including its staging, filming, video, live performance and recording. Admission to public events funded by the project is always free.